"The staff were very welcoming and professional. The optometrist was very knowledgeable." "I was treated better than I can put in words. I will continue to tell everyone I know!" "Great, friendly customer service and Dr. Wu is the best Optometrist I've ever gone to!" "One of the best eye doctor experiences I've ever had! " Since 2000, Omega optical has been a leader and preferred provider of quality vision care and products and personalized optometric services to our patients in Philadelphia and the surrounding areas. 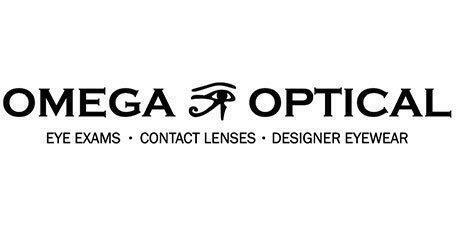 At Omega Optical, we offer the finest eye care services and pride ourselves in building relationships for life. Contact us today to schedule an eye exam or contact lens exam/custom fitting and let us help you maintain one of your most precious assets – your vision. Omega Optical offers a wide variety of hand picked quality frames. Our opticians can assist you in selecting great looking exclusive eyewear with the right lenses for your prescription. Our fashionable optical shops offer quality eyewear from Tom Ford, Prada, Versace, Ray Ban, Burberry, Persol , Tory Burch, Alain Mikli of Paris, Dolce & Gabbana, Giorgio Armani, Gucci, Kazuo Kawasaki and much more. We provide the latest in lens technology and coatings. We custom fit the appropriate lenses to suit your lifestyle and visual needs. Our expertly trained staff will help you choose the most stylish frames to help you see better and enhance your appearance. We can help you select the perfect frame and, one that is specifically tailored to bring out the best in the way you look. We have all the latest designer and non-designer frames in a variety of styles, colors, and materials. Our in-store style specialists offer custom fittings for men and women. We offer one-on-one consultations to help build an eyewear wardrobe to suit every occasion. Our customer service stands out from our competitors, and big box chain stores as our expert eye doctors and dedicated eye care team will help you find the best choice for both your eyes and your sense of style. Dr. Crystal Wu provides comprehensive medical eye care services in the form of eye exams and contact lens exams. She is also certified in prescribing ocular therapeutics for glaucoma, eye infections and various other eye conditions. Taking care of your eye's health is her top concern and that is why her promise as an optometrist is to provide her patients with the most advanced eye care available. As our Omega Optical optometrist examines your eyes, our goal is to determine the best possible eye care solution for you and your family. During your eye exam, the eye doctor will explain everything that is being done all in a friendly and comfortable atmosphere. Our eye doctors will make sure that you understand your eye condition(s): Astigmatism, Cataracts, Macular Degeneration, Computer Vision Syndrome, Dry Eye Syndrome, and much more. Check out our Instagram Page and Youtube Channel for more information on our practice and special events and promotions!